This morning we start with a scenic drive along the Panorama Route, arguably one of the most beautiful destinations in South Africa. The most spectacular stretch is the Blyde River Canyon, which is the 3rd largest canyon in the world, and filled with lush vegetation and wildlife. We make a stop at Bourke’s Luck Potholes to view these spectacular rock formations, formed eons ago by erosion. In the afternoon we head into the Kruger National Park. 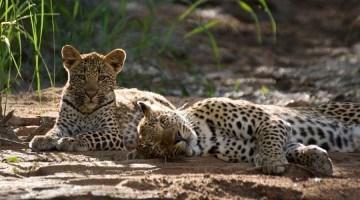 We spend two nights inside the park and will have the chance to encounter the wildlife of Africa on exciting morning and afternoon game drives in our tour vehicle. Should you wish to partake on a game drive in an open game-viewer vehicle, these are available, at an additional expense. Today we cross the border into the mountainous Kingdom of Swaziland, led by King Mswati III, and one of 3 monarchies in Africa. You will explore the traditions and discover the culture of which the Swazis are so proud. We spend two nights in the Mlilwane Wildlife Sanctuary, Swaziland’s pioneer conservation area situated in the “Valley of Heaven”. Apart from abundant bird life, there are a number of animal species to be seen including hippo, giraffe, zebra, and a variety of antelope, which we hope to spot on a guided walk in the afternoon. The next day we visit the Umphakatsi Chief’s homestead, for an interactive experience where you will get to try your hand at grinding maize and plaiting mountain grass or join the children in Swazi song and dance. An offering of a taste of local food is made but forget about your cutlery and try it the Swazi way… with your hands! After visiting a craft market en-route, we re-enter South Africa via Northern Kwa-Zulu Natal. We arrive at our lodge in the late afternoon. 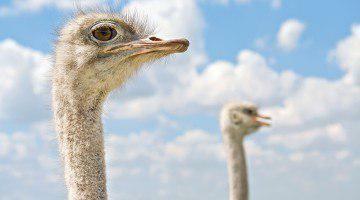 The following day we explore the Hluhluwe-iMfolozi Game Reserve, during a game drive in our tour vehicle. Hluhluwe-iMfolozi is the oldest game reserve in Africa and is a safe haven to both the endangered black and white rhino. In the afternoon we make our way to The iSimangaliso Wetland Park, which was listed as South Africa’s first World Heritage Site. Here we enjoy a boat cruise on the St Lucia estuary, getting up close to the hippos and crocodiles that inhabit the lake. Moving further inland, we spend the next two nights in Northern Drakensberg which is an area known for its magnificent scenery of towering mountains, indigenous forests, and cool berg streams. At 3,482 metres in height, The Drakensberg, known in Zulu as uKhahlamba or the “Barrier of Spears”, is South Africa’s highest mountain range, stretching its rugged form roughly 1,000 km from south-west to north-east. Time will be spent exploring this picturesque World Heritage Site on guided walks. Today we cross the border into the Kingdom of Lesotho, the southernmost landlocked country in the world, rich in natural beauty, flora, fauna and cultural heritage. Malealea is situated in a remote part of Western Lesotho that is breath-taking in its beauty. We have the chance to experience traditional Basotho life, a nation with solid traditions, beliefs and customs. No visit to Lesotho would be complete without a pony trek and the next day we take a ride on the transport of choice for most Basotho, as these sturdy animals handle the narrow trails better than any 4×4 can! We leave the beauty of Lesotho behind us and drive to the historical town of Cradock, known for spectacular starry nights and traditional Karoo hospitality. Founded in 1814 as a frontier stronghold, the town is an important agricultural centre for cattle, dairy and fruit farming. Cradock is a place of literary legends and the original part of the town is graced with some of the finest old buildings. This morning after breakfast our journey takes us to a region of startling beauty along South Africa’s southern coastline, known as the Garden Route. We spend two nights in the Storms River Village, at the heart of the Tsitsikamma Forest. We will take a leisurely hike along one of the short trails, which allow you to explore the coastal bush and rocky shoreline. There is also an option to plunge off the world’s highest bungi jump at the Bloukrans River (for own expense). After visiting ‘The Heads’ in Knysna, a town nestled on a tranquil lagoon, we will enjoy an interactive and educational oyster tasting experience. We continue our journey, travelling over the Outeniqua Mountains into the Little Karoo arriving in the town of Oudtshoorn. We take a trip to the famous Cango Caves, with their impressive ancient stalagmites and stalactites before overnighting in the ostrich capital of the world. Graskop, situated in Mpumalanga on the Drakensberg Escarpment, not only offers the visitor spectacular scenery and breathtaking views – from here the scenic Panorama Route leads northwards along the edge of the escarpment to the Blyde River Canyon. The historic town of Pilgrim’s Rest is just a short hop away. 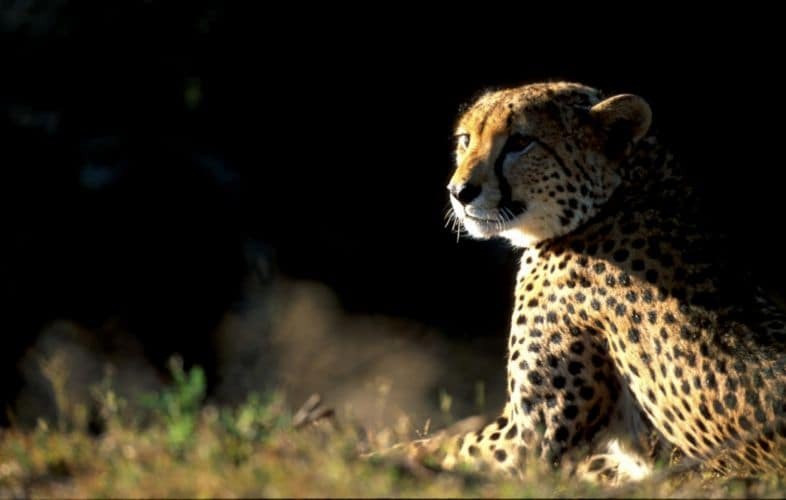 Graskop is also a gateway to the world-famous Kruger Park and its unique wildlife – the town is in the only malaria-free zone situated within easy driving distance from the Kruger Park. Graskop Hotel is a unique artistic experience offering friendly accommodation, contemporary South African art in a variety of interesting settings and culinary delights to be remembered. Family garden room for 2 adults and 2 children with 2 single beds and a bunk bed. Bathroom with shower over bath. This large, face brick camp is encircled by the Malelane Mountains and enjoys excellent views of the Matjulu Dam. The surrounding woodlands and rocky geology, in which Stone Age and Iron Age relics have been found, make this part of the park unique. Berg-en-dal’s museum has these ancient relics on display. Mlilwane, Swaziland’s pioneer conservation area, is a beautiful, secluded sanctuary situated in Swaziland’s Valley of Heaven, the Ezulwini Valley, in between Mbabane and Manzini. With 24-hour access to the Sanctuary, guests are free to enjoy the neighbouring tourist hubs of Ezulwini and Malkerns, with their many unique attractions and craft shops. From the western boundary, the huge Usutu Forest provides a dramatic backdrop stretching into the distant hills Mlilwane has an outside function area Inkhundla, about 200 meters from the Hippo Haunt restaurant which is suitable for private functions, such as weddings, graduation parties and so on and is often used by members of the Royal Family. It consists of a reed and semi-tin roof, river sand floor, railway sleeper benches, a bar area and has an ablution nearby. Catering can be arranged and the rates of this can be obtained from Big Game Parks central reservations office. The main attractions in the area are the national game reserves – Hluhluwe/Imfolozi and Mkuze game reserve, and a World Heritage Site – Isimangaliso Park. Two un-spoilt beaches, Sodwana and Cape Vidal, are only an hour drive away. The Cavern is a holiday resort offering you Drakensberg accommodation in the KwaZulu-Natal region. This stunning full board Drakensberg resort has won numerous accolades and awards, giving you sound peace of mind. The Cavern is home to numerous Bushman paintings, 213 species of birds, 150 species of trees and numerous wild animals. As a nature lover, this would be your ideal location. You won’t hear traffic here, you will hear singing. You will hear birds who wake early and crickets who stay up late. On the trail, you will hear the clanging of bells fastened to the necks of grazing sheep, the steady trickle of valley creeks, the clip-clop of your pony’s hooves underfoot. You will see vast and endless rolling hills, aloe plants as tall as you are growing out of the dry ground, the russet glow that shines over the mountains as the sun slips behind them, and a people who have known laughter as well as they know struggle. You will taste the richness of authentic Basotho cuisine and smell the sweet, smoky bonfires that burn each night. And soon, you will feel the magic. Die Tuishuise consist of 30 refurbished Karoo style cottages ideally located in Market Street, Cradock. Die Tuishuise have been awarded the coveted “Simon van der Stel” Gold Medal for restoration. enjoy the historically rich surrounding, as well as the personalised service and amenities required by today’s discerning traveller. This historic house type has a main bedroom with a double bed and second bedroom with twin beds. Full bathroom, equipped kitchen and lounge. Indoor fire place, air conditioning in main bedroom, off street parking. This historic room has a double bed and en-suite bathroom with shower. Air conditioned and off street parking. This historic house type has a main bedroom with a double/ and or twin beds.. Full bathroom, equipped kitchen and lounge. Off street parking. 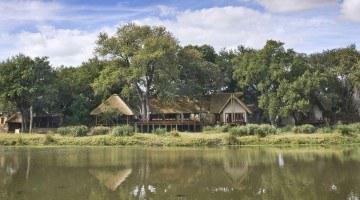 Within the Addo Elephant National Park is a range of chalets offering comfortable accommodation. There’s a chalet that accommodates either two adults and two children or three adults. The chalet is a bedsitter with two single beds and a sleeper couch, all in the same area. There are no separate bedrooms. The chalets are air conditioned, and have fully equipped kitchens and bathrooms (with bath and shower). Two chalets are adapted to accommodate paraplegics. The semi-detached chalet can only sleep two people. Each unit contains two single beds (together) with a shower, toilet and hand basin. The kitchenette is equipped with a bar-fridge, two-plate stove, microwave oven, cutlery, crockery and cooking utensils. The units are airconditioned. The family chalet can sleep a maximum of six persons. This unit is made up of one bedroom with a double bed and a bedsitter area, comprising of two single beds and a sleeper couch. The bathroom leads off the bedsitter area. Each unit has an equipped kitchen and air conditioning. Tsitsikamma Village Inn, located in the village of Storms River on the beautiful Garden Route, offers a unique form of accommodation. Most of our rooms are situated around a typical Village green. These buildings represent many of the different building styles that were to be found in the Cape Colony during the 1800s. The De Oude Martha Restaurant serves hearty and delicious breakfasts, lunches and dinners. Other popular on-site restaurants include the characterful Hunter’s Pub and the informal Cafe Bacchus. Next door to the hotel, is the Marilyn’s 60s Diner, where you’ll enjoy a trip down memory lane with the vintage motorcycles, cars, memorabilia and a typical diner menu. Our hotel is a great base from which to explore the natural attractions and adventure options of the region and there are many ways to do this from hiking trails, mountain biking and horse rides to tree-top canopy tours and bungee jumping. Between excursions, guests are welcome to relax around the sparkling swimming pool, visit the hair salon or entertain themselves in the games room. There is complimentary unlimited wi-fi internet access available throughout the hotel. In-room facilities include air-conditioning/heating, electrical blankets, television and a tea/coffee station. Swiss style chalets built in 1988, around their own village square. This room has twin beds, coffee/tea tray, television, air conditioner, electrical blanket, shower in bath. The ‘village square’ is made up of replicas of traditional buildings of the earlier building styles of the Cape Colony & is decorated accordingly. This room has a king size bed, sleeper couch, air con, electric blanket, coffee/tea tray, tv, shower&bath. The ‘village square’ is made up of replicas of traditional buildings of the earlier building styles of the Cape Colony and is decorated accordingly. This room has a king size bed, air conditioner, coffee/tea tray, tv, electrical blanket, shower and bath. The ‘village square’ is made up of replicas of traditional buildings of the earlier building styles of the Cape Colony & is decorated accordingly. Room has a king size bed & 2 single beds, air con, electrical blanket, coffee/tea tray, tv, shower & bath. The ‘village square’ is made up of replicas of traditional buildings of the earlier building styles of the Cape Colony and is decorated accordingly. The rooms have twin beds, air conditioner, electrical blanket, coffee/tea tray, tv, shower and bath. Swiss style chalets built in 1988, around their own village square. This room has twin beds, air conditioner, electrical blanket, coffee/tea tray, television, shower in bath. Swiss style chalets built in 1988, around their own village square. This room has twin beds, coffee/tea tray, television, air conditioner, electrical blanket, shower and bath. The ‘village square’ is made up of replicas of traditional buildings of the earlier building styles of the Cape Colony and is decorated accordingly. Rooms have twins beds, air conditioner, electrical blanket, coffee/tea tray, television, shower and bath. The four star Turnberry Boutique Hotel is situated in the centre of the picturesque Klein Karoo town of Oudtshoorn. A warm welcome, awaits visitors to this tiny piece of Scotland set in the heart of the Klein Karoo. Relax in the comfort of one of the 21 well appointed air-conditioned bedrooms (each with satellite television, a coffee station and a mini bar), all with en-suite bathrooms, and cosy double beds fitted with crisp white linen. Each room also has wireless Internet connection. The Standard double rooms (4 in total) at this luxury Oudtshoorn accommodation features queen-sized beds covered with crisp percale linen, showers as well as extra amenities. For both business and leisure, the Townhouse Hotel and Conference Centre is Cape Town’s most perfectly appointed hospitality venue. We’re set in a surprisingly tranquil corner of the city centre, adjacent to the South African Parliamentary precinct and the historic oak-lined avenues of the famed Dutch East India Company Gardens, established some 350 years ago to offer provisions and respite to visitors to this port. Though we offer 4-star comforts and amenities decidedly more 21st century, the Townhouse Hotel is still an intimate, individualised hotel experience, with just 106 selected en-suite accommodation options – from single rooms to deluxe and deluxe family suites. Beautifully designed and newly refurbished, these inviting climate-controlled spaces include free high-speed Internet and DSTV, and personal touches like freshly-baked cookies from our Michelin- trained executive chef, who conceives the hotel’s gourmet menu, showcasing unique South African flavours and vintages. For business travelers, parliamentary visitors or conference delegates, we are an especially convenient “office from home” thanks to our new, state-of-the-art Conference Centre which offers a range of fully equipped and catered presentation, function and meeting facilities on two spacious levels, served by easy on-site parking. For leisure seekers, we are a natural point of departure to attractions like the Cape Town Castle, major museums and the souvenir shopping mecca of Greenmarket Square, while the V&A Waterfront and Table Mountain are easily accessible.